Is Back Pain Really Nothing to Sneeze at? It is difficult indeed to acknowledge that a sneeze could have this kind of impact on your spinal health. After all, you may have lived an active life up to this point, doing all kinds of things that may not be good for your back— playing football and enduring and initiating tackles and blocks, as well physical labor requiring lifting heavy objects, often incorrectly, and all kinds of pushing, pulling and straining. It is almost laughable, therefore, that after taking such risks over all those years, something like a sneeze could embark you on a voyage through back pain misery, including slipped or herniated discs, upper and lower back spasms that may, in themselves, lead to back injury, as well as, in extreme cases, paralysis of the limbs. It is quite probable that because of the aforementioned activities a disc may be on the precipice of herniation, or protruding from the spine, which means that at least one part of the spine may be vulnerable to any jolt or spasm. Stress, pressure and the jarring impact of a violent sneeze can indeed cause harm, especially if you are not in a stable position. “If you already suffer from musculoskeletal issues, sneezing can make matters worse for you,” reports the Accident and Injury Center, which suggests bracing yourself for stabilization and maintaining the natural arch of your back. Consider that most of us who suddenly sneeze with people nearby, politely turn away just before the sneeze. This results in turning the head and twisting the spine as it is jolted by this convulsive expulsion. If you experience sudden sharp pain down the spine after a forceful sneeze, you might want to check it out with your chiropractor or family doctor, who may refer you to a specialist if disease is already present. Analyzing a sneeze indicates that it does indeed have potential for injury, and the spine— especially one already compromised by injury or deterioration— takes on the brunt of the impact. It’s like launching a missile. You arm the launch by holding your breath and therefore tightening the chest muscles, increasing the air and pressure in your lungs. 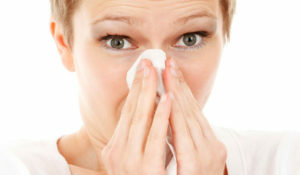 The result of a so-called violent sneeze is high-pressured expulsion of mostly air and droplets of mucous leaving the body. The velocity is nowhere near 100 miles an hour as recent laboratory testing has disproved. It just feels like it at times. If you think of chiropractors as all doing pretty much the same thing, you need to get out more. The truth is that, much like the medical profession, there are many different approaches in practice, procedure and specialization. Cardiologists don’t do the same thing as urologists and their differences in diagnoses and treatments extend to divergent parts of the body. The same may be said for chiropractic medicine. There is what is known as relief care, which is usually associated with a traditional chiropractor who specializes in spinal manipulation and other basic modalities. Relief care reduces spinal pressure in chronic cases, lessening pain and stiffness while increasing mobility. 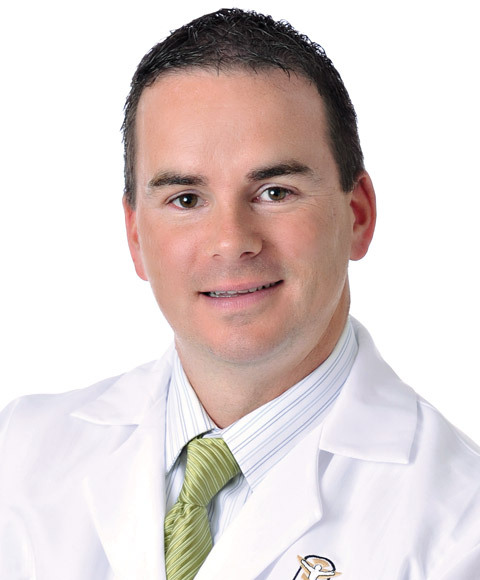 This is for people who need immediate relief and visits are generally more frequent, reports Dr. Brad Butler, Chief of Staff at Oakland Spine & Physical Therapy in Oakland and Wayne, NJ. Another kind of chiropractor is one who follows the model of “spinal correction” which includes additional techniques to bring the spine back to a normal structural state. A typical patient might be someone who is afflicted with a chronic back condition over a prolonged span of time without receiving treatment. This may result in serious spinal damage that requires more of a therapeutic approach through multiple sessions. Finally, there are chiropractic rehabilitation offices where multiple techniques, modalities, and even other disciplines such as physical therapy, massage therapy, acupuncture, and advanced technologies can be used. “This is the model we utilize because I feel it’s giving the patient the overall best opportunity to heal and recover from more chronic and advanced spinal conditions,” Dr. Butler noted. Whatever the state of your health, whether you are seeking immediate relief or preventative or maintenance treatment over the years, chiropractic care is the nonintrusive answer. Maintenance care may come after recovering from injury and subsequent rehabilitation. Consider all the conditions that may be treated where multiple modalities are available that may not have been available from your father’s chiropractor. They include but are not limited to: chronic fatigue, fibromyalgia, headaches and migraines, tennis elbow, herniated discs, carpal tunnel syndrome, follow up to failed back surgery, low back, mid back, neck and shoulder pain, sciatica, scoliosis, spinal stenosis, sprains, strains and sports injuries, whiplash and car accident injuries and even allergies and asthma. Modern chiropractors rely on a battery of equipment that essentially makes them technicians, including various tables that are effective for treatment of different conditions plus ultrasound, cold laser, acupuncture and activator adjusting tools for expanded patient care. So all chiropractors are not alike and neither are the conditions they treat and the modalities they use. Whiplash has a bad reputation and has become stereotyped over the years as something of an imaginary injury. Why? Many of us associate it with litigious people in neck collars trying to pull off an insurance or disability scam. In truth, it is not only the real thing, but one of the most common forms of neck pain. And that pain is not restricted to the neck. The name itself indicates that the neck has been snapped like a whip, therefore causing a lasting injury that may become chronic. But historically it has been hard to prove, which why it became so popular among injury fakers after automobile accidents. A sudden jerk of your head forward or backward from a blow, impact or a quick, spontaneous movement of the head may lead to whiplash. Modern medical technology makes it easier for a legitimate whiplash victim to prove that there is a spinal misalignment beyond the traditional x-ray, thanks to CT scans and MRIs. Left untreated, whiplash may evolve into a chronic condition that could rob you of healthful sleep, resulting in fatigue and dizziness, the pain of severe headaches, ringing in the ears and back pain, just to name a few common symptoms. Basic symptoms of whiplash include headaches, numbness and tingling in the neck, and pain in the neck, shoulder, jaw and even down to your arm and hand. There have even been documented cases of brain injury from whiplash. Sometimes the symptoms do not occur until days or weeks after the injury. More than one million people are diagnosed with whiplash every year and as many as 25 percent of those deteriorate into chronic conditions. Meanwhile, so many people put up with reduced quality of life without ever having it diagnosed or treated. As noted previously, there is nothing phony about whiplash. There are all kinds of ways to treat whiplash, although there is not necessarily proclaimed a cure. As with any ailment, many turn to prescribed or OTC medications, even injections, while others receive relief through massage, physical therapy and ultrasound. And what about the most visible treatment, the neck brace or cervical collar? That is immobilization, and even the most traditional treatments are now advocating movement as some kind of treatment. 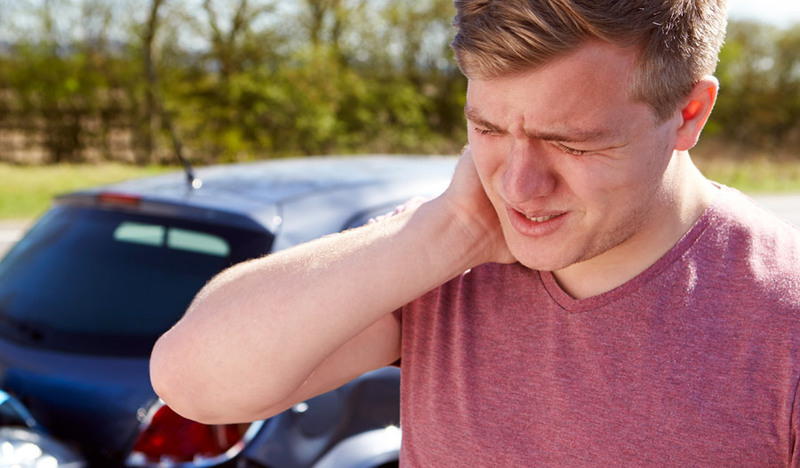 Various forms of laser treatment are on the cutting edge of treatment, and chiropractic professionals offer more alternatives for healing and pain relief when it comes to whiplash. Laser treatment is offered by many modern practitioners of chiropractic care, as are spinal manipulation and physical therapy which have proven results. According to the American Chiropractic Association, an estimated 35 million adults and children go to chiropractors for treatment every year. That is more than one of every ten people living in the United States based on the 2017 population estimates of the U.S. Census Bureau. The same source tells us that patients of chiropractors go to that specialist more often than they do to their family doctor each year. The latter seems to give credence to the allegation that once people start going to a chiropractor, they are somehow hooked into going to one for the rest of their lives. At last report, chiropractors are not on any list of known addictions. The truth is they give regular annual checkups and schedule patient appointments based on their health needs like the family physician. The fact that so many Americans go to chiropractors in pursuit of achieving optimal health is, in itself, a statement of trust and confidence in a profession that has contended with many myths since the first acknowledged chiropractic adjustment in Iowa in 1895. The idea that chiropractors “adjust” instead of “treat” may have had something to do with the skepticism, but there is no question that some 80,000 chiropractors in the United States are an integral of the mainstream healthcare system. In other words, treatment promises nothing in itself while adjusting strives to improve effectiveness. Since people in pursuit of healthcare are accustomed to being treated when they go to a doctor or a hospital, most chiropractors now tend to include “treat” and “treatment” in their lexicon. Yet their objective is still about improving the patients’ conditions. making them more effective than they were before. People with chronic issues, whether back pain, a pinched nerve, tendonitis, sciatica or fibromyalgia, do tend to return regularly because of the relief it delivers. However, there are many patients who are fully recovered after seeing a chiropractor one, two or three times. Probably the first hurdle chiropractors had to surmount in gaining acceptance was they only work on backs and that all chiropractors are pretty much the same. The accent is on preventive health care with an emphasis on improving joint function. Much like the medical profession, there are many different styles of practice. A traditional chiropractor typically uses just spinal manipulation or some basic modalities. Others form more advanced modalities of spinal correction with the goal of returning patients structurally to where they were when healthy. 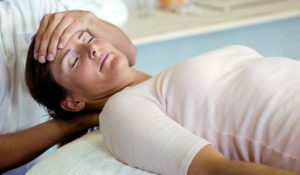 Finally, there are chiropractic rehabilitation offices where multiple techniques, modalities, and even other disciplines, such as physical therapy, massage therapy, acupuncture, and advanced technologies, are used. Some patients prefer “maintenance care,” which means they choose to come to a chiropractor regularly because it makes them feel better. If that’s an addiction, it is one of the few healthy ones. —Call us today at (201) 651-9100 for an appointment at Oakland Spine & Physical Therapy. It has never been a more important time than now to be an educated consumer when it comes to joint health. In previous generations, perhaps as recently as your parents, bad backs, knees, hips, and other joints have relegated those in their forties, fifties and sixties to decades of restricted mobility. There are so many options, so many decisions to make, that will affect the quality of your life for years to come, that will determine whether you get to live happily ever after. Consumers will have to be more informed than ever in conquering, or a least living with, joint and back pain. Educated consumers have to choose what is best for them. Joint pain is a growing dilemma and it isn’t going anywhere. Patients have to decide whether they want to treat what’s causing the problem — which is almost always a mechanical issue— or whether they what to wait until significant deterioration occurs and choose their fate? Knee and hip surgery and replacements are becoming commonplace, with the latter already among the most routinely performed surgeries, approaching 10 million men and women with these implants. Many of them are young enough that they may face replacements of their replacements 20 to 30 years down the road. Then there are those millions of Americans with ongoing back pain. Those who suffer with it are getting younger, and it is already the leading cause of disability in adults under the age of 45. And, yes, spinal implants of sections of vertebrae are already here. Medicine has evolved into more treatments of the consequences of these conditions, but only physical therapy and mechanical adjustments can treat the mechanical dysfunction that created the problem in the first place. It is also true medical advances will continue and that they will become less invasive and less traumatic at doing the same old thing — treating by masking the effects of the ailment once prevention or structural rehabilitation is no longer feasible. Mechanical treatments like chiropractic care and physical therapy are superior because they stimulate the body to repair itself, at the same time recovering the initial painful condition and redirecting it on a more healthful trajectory. Joint pain leading to disability is a dilemma for a growing number of Americans in their forties, fifties, sixties, and seventies. That means increasing millions of people are soon going to have to make choices, including surgery, physical therapy, chiropractic modalities and even stem cell treatment in the coming decades. According to researchers at the U. S. Centers for Disease Control and Prevention, there are an estimated 15 million people in the United States suffering from severe joint pain. Going by the pain scale many doctors use— with zero representing no pain and 10 being the worst possible pain— anything seven or higher is in the severe range. Then there are those in the moderate range of four to seven on the scale, many of whom will shortly be suffering severe joint pain. Now is the time for them to start making educated decisions. Pain is both internal and subjective, and its impact on those who experience it is as diverse as how people deal with it. For some, it may have little impact on their lives and careers, because they manage it through medication, surgery or find relief through chiropractic care. Pain is a part of the healing process in any injury, especially traumatic ones, and it is a sign of normalcy that it will eventually go away. Yes, the body seems sometimes to have mystical ways of dealing with pain when your life is on the line. Science tells us that the body, when injured, will literally release what one study calls “natural opioids,” which are beta-endorphins and other pain relievers. It is safe to say we all feel pain in different ways and cope with it differently. At the same time, it can be detected and measured so it is not something just solely perceived by the person who is feeling it. Neuroscientists can objectively measure pain through brain scans and other imaging, which may eventually replace the traditional way physicians measure our pain. They ask us. So even if you have two patients and they, coincidentally, are both suffering from the same injury and you measure it at the same level, is it affecting both patients the same? The truth is that one may actually be able to function by doing basic tasks and the other may be unable to do anything but lie in bed, possibly in a protective coma. How we handle pain is just one of the things that makes us different, and though the pain may be the same, the tolerance of it isn’t. Pain tolerance is also known as the pain threshold. Our pain thresholds may be low or high. If your pain threshold is high, it means that you can handle a lot more of it than most people. When the threshold is low, you can’t take very much of it. So does that mean that the person with high tolerance to pain is comfortable when most of us aren’t? Or is it that he or she has some kind of inner fortitude to ignore it or virtually will it away? It is true that you can ignore pain longer if distracted, but is that proof of anything regarding pain thresholds? How we tolerate pain definitely has something to do with these natural pain-killers and how they are released. These, too, can be measured, and we are told by neuroscience that women generally have a lower pain threshold than men, because they don’t release as many of those endorphins. Then again, the average healthy adult male has supposedly never experienced the pain that women feel in childbirth. We also know we don’t have to live with a low pain threshold, because deep breathing, meditation and other so-called distractions have been shown to increase one’s tolerance of pain. 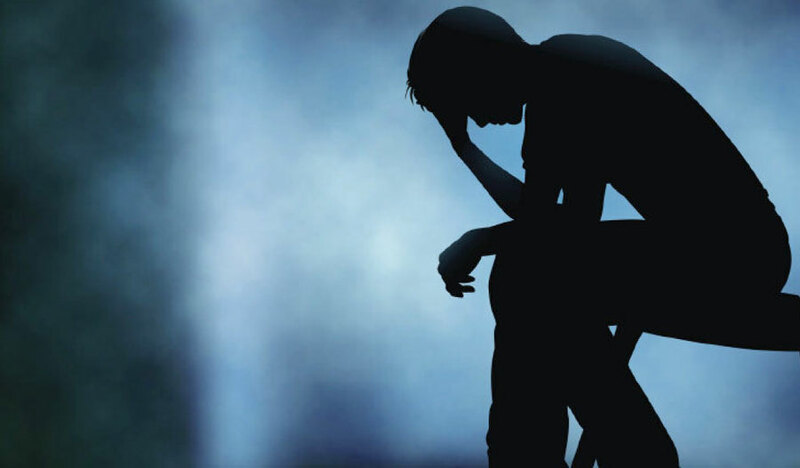 You can hide your pain with medication, but the pain is still there and there is no healing taking place. So why settle for that when we can offer you true healing and escape from pain? This simple and easy exercise can be done anywhere. With your arms extended straight out in front of your body, begin with your hands in a fist position. Slowly begin to open your hand until your fingers are pointed straight out, then spread them apart from each other as far as you can. Return to the starting position and repeat for 5 to 10 minutes, doing this multiple times a day. Wrist bends are another great stretch to help relieve your pain. Begin with one arm extended out in front of your body along with your hand and fingers, your palm should be facing the floor. With your other hand, slowly start to lift your out-stretched hand by its fingertips and softly pull the hand upward toward your body. Once your hand is in the upright position, hold this position for about 30 seconds and then release, switch to your other hand after. Repeat this stretch as needed throughout the day. This stretch is a little more involved, as it requires a lightweight dumbbell. Sitting down at a desk or table, rest your forearm on the table while your hand is hanging over the edge. With the dumbbell in hand, slowly lift your wrist until it is level with the table while also keeping your arm flat on the table. Do this motion about 10 times, once a day. Possibly the simplest stretch yet are these finger exercises. Begin with your hand and fingers stretched straight out. Using your thumb as a meeting point, bring each finger one-by-one to the thumb, making the shape of an O. Do this about 5 to 10 times on each hand and repeat as needed throughout the day. Hold a stress ball in your hand with your palm upright, this stretch is as easy as squeezing the ball and releasing, repeating this motion about 10 times. 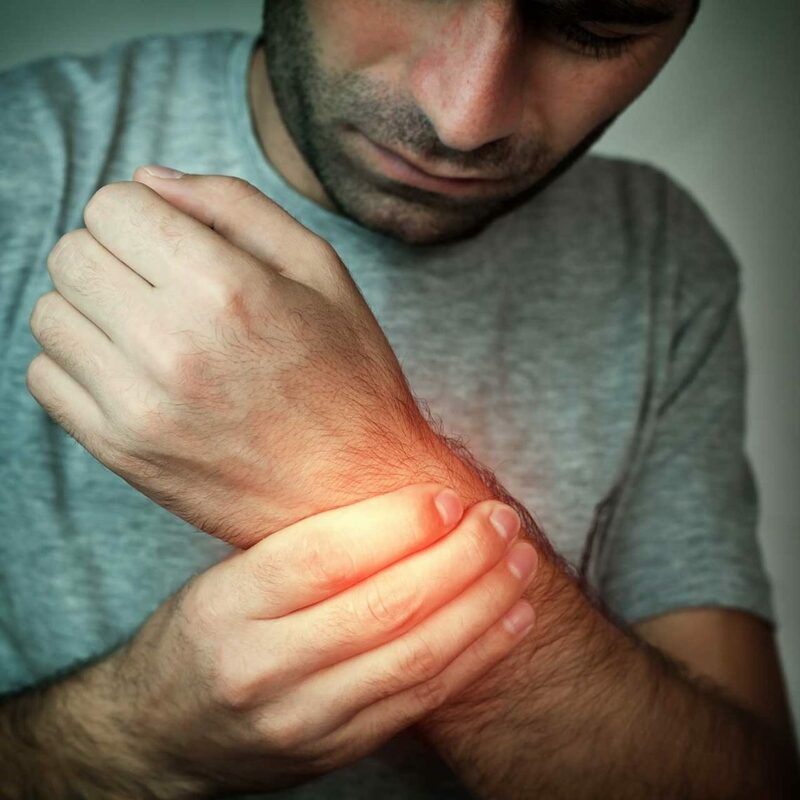 Our highly trained, dedicated and caring team is committed to relieving Carpal Tunnel Syndrome pain and improving your life. And our SAME DAY GUARANTEE* is our way of showing you just how committed we are. Call us in the morning…see us in the afternoon! Finding the treatment that works best for your fibromyalgia symptoms can be difficult. When you suffer from pain, the quicker you find a solution the better. Although the exact cause of fibromyalgia is unknown, researchers believe that it is a result of genetics, stress or trauma and chemical/ hormonal imbalances in your body. 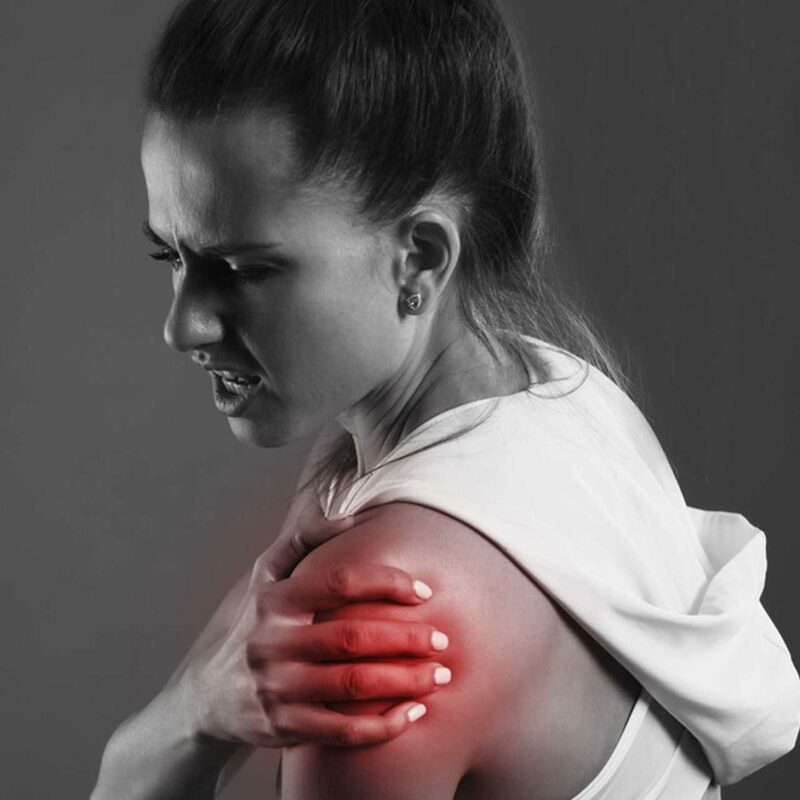 Symptoms of fibromyalgia can range anywhere from muscle and joint pain or stiffness to fatigue, difficulty concentrating, unrefreshing sleep and even increased sensitivity to your surroundings and foods you consume. Below 3 of the best-known ways to handle your fibromyalgia symptoms the right way. Physical therapy seems to be the go-to method for fibromyalgia sufferers, and there is a reason for that. For many, this option can help increase your strength and improve the body’s range of motion. Regular sessions are necessary, but you learn a variety of techniques that are believed to reduce pain, fatigue and stiffness. Each case is unique and it is up to your physical therapist to create a routine that will best tend to your needs and goals. At Oakland Spine, our team uses a therapeutic deep tissue laser to alleviate pain and promote healing. Natural pain relief remedies are preferred by many, and are considered to be the best way to handle fibromyalgia symptoms. Studies have shown that massage therapy can reduce fibromyalgia pain, and can also decrease both stress and anxiety. Remember that your muscles are sensitive when suffering from fibromyalgia, so it may not necessarily feel relaxing. Choosing the right massage therapist is key to seeing positive results from this method. If too much pressure is applied, more harm than good can be done. Many swear by acupuncture as a great way to relieve fibromyalgia symptoms and we have had tremendous success in our office. This method increases blood flow to inflamed areas of the body and is used most often when trying to relieve muscle and joint stiffness, as well as chronic pain. When choosing acupuncture as a treatment option, it is important to choose an experienced professional to increase your chances of success. Our highly trained, dedicated and caring physical therapy team is committed to treating Fibromyalgia symptoms and improving your life. And our SAME DAY GUARANTEE* is our way of showing you just how committed we are. Call us in the morning…see us in the afternoon! Is Surgery Your Best Option?